According to BPM, Lowry is better than Durant and AD. So color me skeptical there. I think one factor that isn’t being considered is that Randle is a half decade from his prime. So however you look at it, you have to assume there’ll be improvement from where he is. That’s the point, he won’t get paid for what he did last season, it will be for what he is projected to do. Passing on 4 years, $48 mil was really short sighted. Okay so that guy who made the thread a few months ago titled "I'd take Randle over Lebron"...I called him crazy but I agree now. Yeah if we get a HOF talent that puts us in immediate contention it would be good for 4-5 years, but Randle's a guy who could keep us a contender with the right pieces for 10+ years. I don't want Lebron if it means losing Randle. Not really, Julius was overall a very poor player coming into this season....he didn’t earn 4 years $48. It was the right call. Not getting extended challenged him and he rose to the challenge, he’s worthy of that now and maybe a bit more. If he would have shown the work ethic and dedication he exhibited this season prior to getting challenged, he would have gotten his money. Maybe if he would have gotten his 4/48 he wouldn’t have gotten in better shape, because he certainly didn’t make the effort before that. 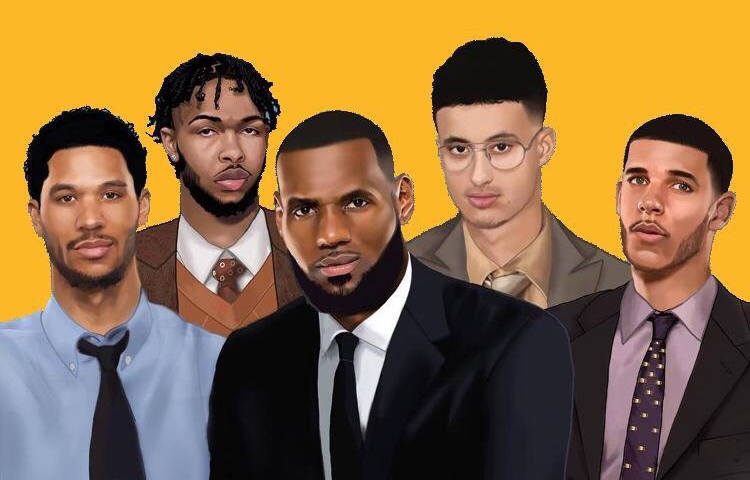 If Lakers had offered Julius the extension and he accepted, the Lakers probably would have traded Julius like they did JC for a chance at 2 max players. Everyone wants to keep Randle with pg + lebron and the pros/cons of keeping Randle scenario. however, what are the pros/cons if we decide to not keep Randle? There aren't many pros. I suppose the one pro is that you don't have to stretch Deng yet so he saves you a small amount of money longer term. But you won't be able to sign another player of his quality as you won't be able to go over the cap to sign him. Signing him won't put you into luxury tax. The only downside of signing him is that he costs ownership money and a small amount of cap space. You basically lose an asset for a small amount of cap space that you won't be able to replace him with a similar quality player with. Only pro I can think of is shorter wall posts? That is exactly what I posted, he is well worth that now and will be a bargain in 3 years. I will choose to ignore the crap you make up and stick to reality. Is a guy blowing up in his third season abnormal? No, it is extremely common. Now we will have to pay more, good for Julius. I think there is a chance that at some point next season, some announcer or media personality will say something to the effect of "sure, you can double Lebron, but then how are you going to stop Julius Randle?" I think honestly believe that Randle still has a chance of becoming a terror of an offensive force in this league while being an elite defender. Dont be so sure we have seen his ceiling. Finished watching some julius Randle highlights this morning, along with GT's video on him... got me pumped. I’m just not a fan, I like shooting and defense...and so does our FO...I don’t think they are going to overpay him to stay. Peace. Wasn't the extension up to his cap hold: $12.4 M? But at a hard cap no? Currently, we can sign 2 max guys and then sign Julius over the cap. But if he signed the extension, could we have done that? I think so, if we traded Deng and his number was like 12 million. It is still a 12 million cap hold, so it would be about the same, but we are allowed to go over the 12 million of we trade Deng and signed 2 max, we would just have to sign Julius last. If he signed the extension he would have been locked in at 12 million I think. Some also thought the FO would pick Nance over him lol. You personally don't like his game, and that's fine, so you choose to look at the glass half empty. But defense is not a weakness for him. The things Randle did at only 23 (while missing a full season) is nothing to snuff at. Kid will only improve because he's dedicated. Not enough credit is given to the fact he is an elite athlete. Comparing him to someone like Bobby Portis ignores the fact Portis would be physically unable to stop and or move Julius Randle. Combined with his ball handling and finishing ability, he is unlike 99.9% of the league. Randle has shown he can play at an elite level on offense and defense and he is only 23. He has shown the dedication needed to become a great player. He has done this more than any current Laker. 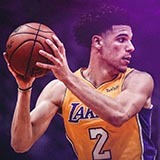 He is the Lakers best player by a good distance. We should find a way to keep him period. If we are lucky enough to find a way to sign PG and Lebron we will need to resign JR. I may mean packaging a pick and a player, Bryant, or Zubac to get rid of Deng to clear the space. We would still have a mid level extension and every asset on the team would be attractive on the open market meaning we would still have flexibility going forward. He has shown the work ethic and dedication since before he came into the league but I wouldn’t expect you to recognize that. Just wanted to make sure it wasnt $4M. It's easy to forget sometimes that Julius Randle is only 23 years old, his jump this year was massive. defense and shooting should still be the main focuses for him, even if he never ups his PPG but stays this efficient, combining that with a really good defender would be scary.